This range is not available for delivery until early May. We apologise for any inconvenience. Please contact us for any issues. 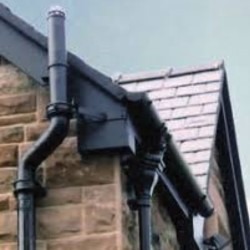 This medium sized ogee gutter is a good choice for larger victorian style properties. 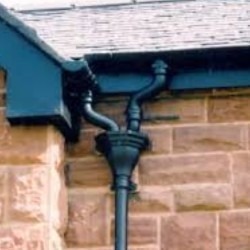 This is the primed option that enables you to paint the gutter in a colour of your own choice. This is our standard ogee which has softer, more rounded curves than the Moulded and Notts Ogee patterns. Because the Ogee profile is asymmetrical, all fittings such as stopends and downpipe outlets can be either left or right handed. For the same reason, gutter angles will be either external or internal. External corners appear to lead away from you when stood in front them - this is the most common type of angle. Internal corners are commonly found at the bottom of a roof valley. 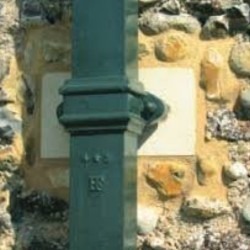 Every fitting such as outlets and corners have a plain end and a socketed end - sockets are consistently located on the left side of every fitting when stood before the gutter. Looking at the product images will make this clear, but if you are in need of any additional assistance then please do get in touch.